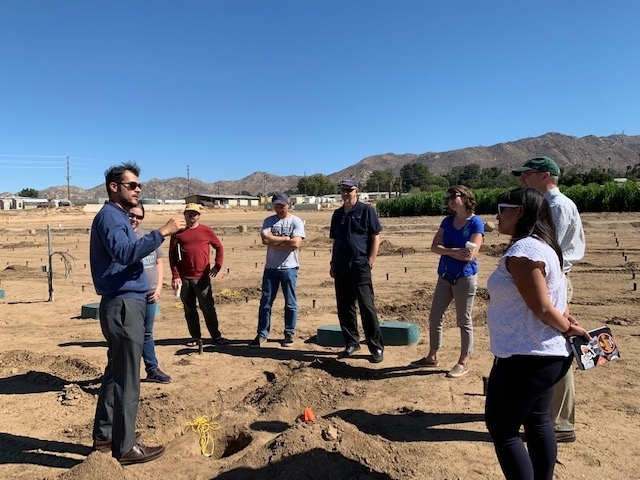 On Friday UCCE San Bernardino County Master Gardener Coordinator Maggie O'Neill and I hosted a tour that showcased UC ANR Urban Water Use Specialist's Amir Haghverdi's landscape plots at the UCR Citrus Experiment Station. 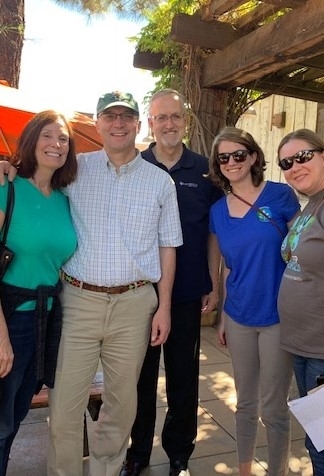 In attendance were CEO Scott Kania and Lead Scientist Mark Chandler from EarthWatch, Becky Rittenburg and Monica Curiel from Chino Basin Water Conservation District, and Darrel Jenerette, UC Riverside Professor of Landscape Ecology. Our team is implementing an exciting citizen science project measuring water conservation based on implementing 'best practices' in urban landscapes in the greater Los Angeles Basin.